Ring ring! Hello? 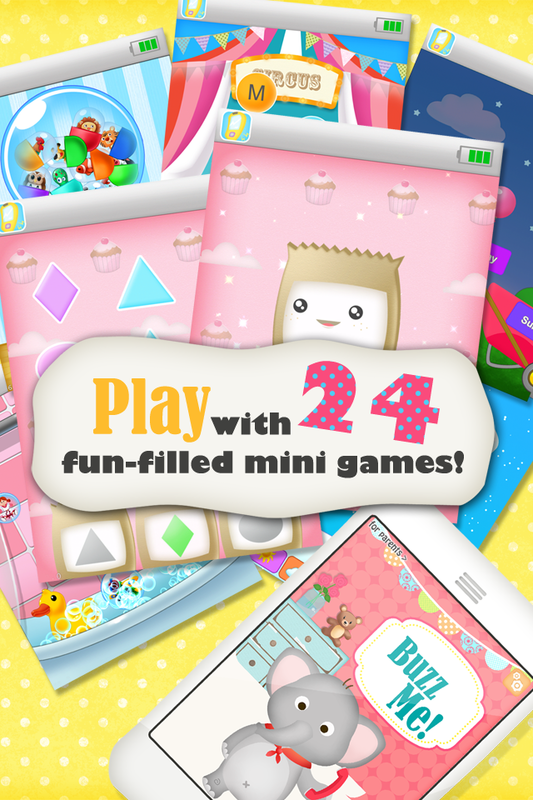 Make calls and send texts just like the grownups and play away with 24 fun-filled mini games created to educate and entertain! 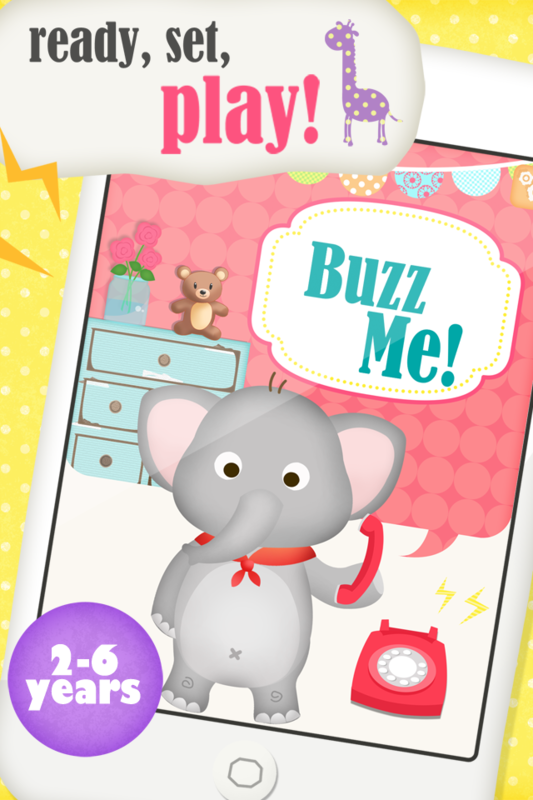 Kids love playing with phones and with this children-friendly toy phone you can put your mind at ease and give them free rein to play and explore. 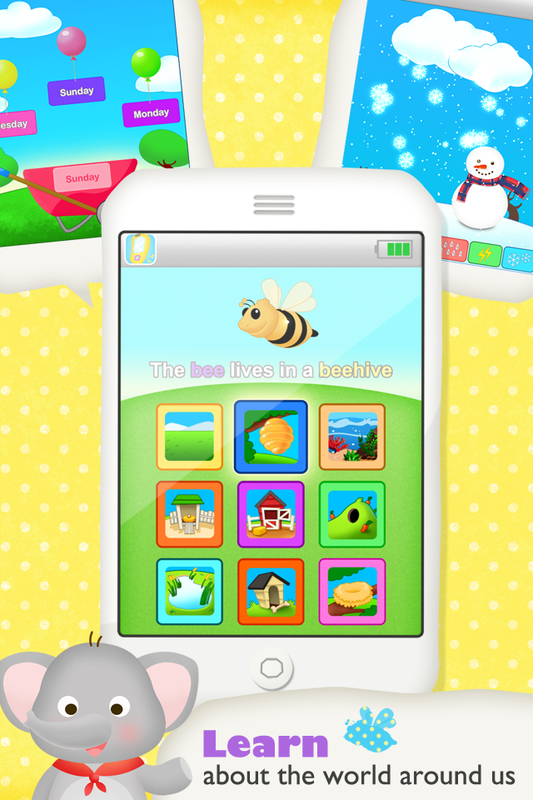 Fun interactive animation, vibrant illustrations and countless things to play and learn will make this all-in-one children’s activities app a favourite pastime. Identify different shapes and colors, and learn their names! Create your own masterpiece or join the dots to form a basic shape, then watch it come alive. Uh oh! The rabbit has disappeared under one of the magician’s three hats...do you know which one it’s hiding under? 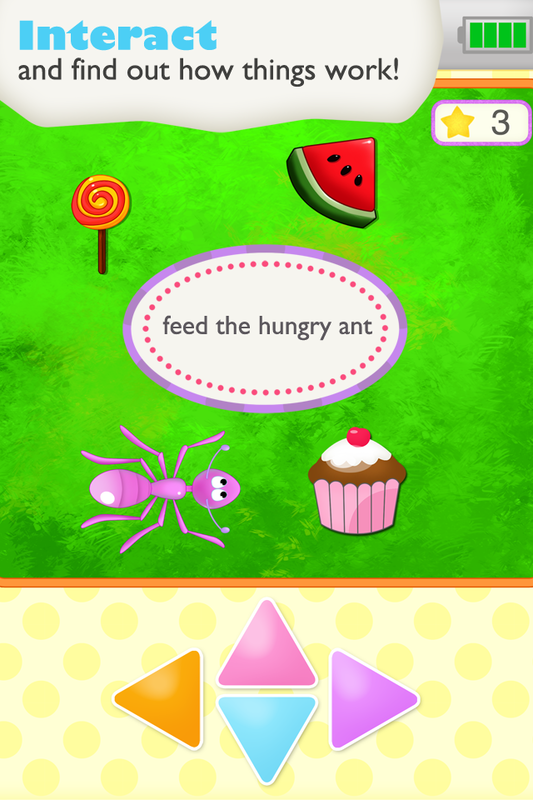 In another adventure, help the little ant eat cakes by telling him which way to turn. Build your dream castle with the interactive toy blocks, but be careful not to make it fall! Where do animals live? What are the different types of weathers? What are the days of the week? What’s the time on the clock? What sounds do different musical instruments make? Great questions deserve fun answers. Learn to say each letter as they shoot out of the canon! Type and ‘send’ instant messages just like the grownups. Count as you pop the bubbles at bath time or hit it up on the kid’s calculator. Play is learning in itself. Enter Dinoland and play with stickers of all your favorite dinosaurs, or feed the fish in your virtual aquarium. Insert a coin and prepare yourself for an animal surprise! Capture mom or dad on the camera, then add silly accessories, crazy hairstyles and decorate the picture in your very own photo booth. - Available in the following languages: English, Spanish, French, Japanese, Chinese Mandarin, German, Italian and Swedish. 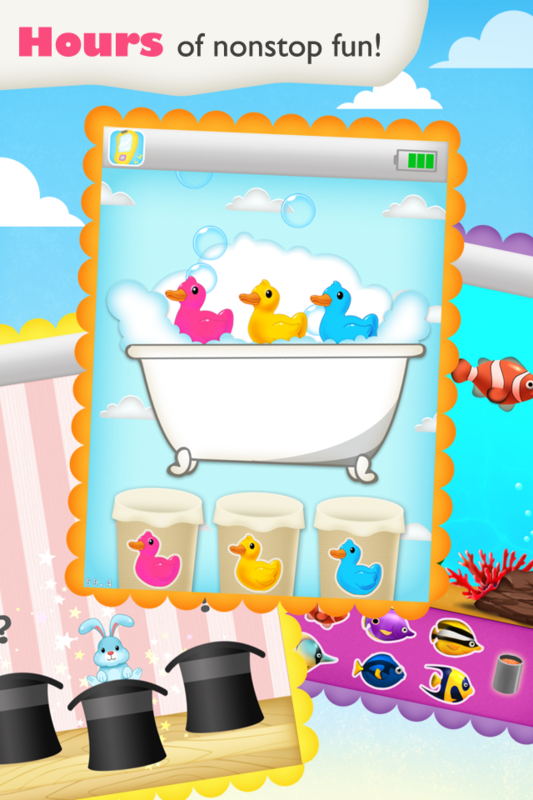 GiggleUp Pty Ltd is a member of Moms with Apps, a collaborative group of family-friendly developers seeking to promote quality apps for kids and families.